Violet is growing up so fast. When you become a mom other mom's will tell you how quickly they grow up and that is so true. Time seems to go by much quicker with children. One day you're picking out super cute animal onesies to dress them in and the next day they're laying out their own clothes for school. I'm glad she's growing up and becoming more independent. I may regret that in a few years but right now, I'm completely on board with her maturation. Violet no longer wants to wear what I pick out for her. 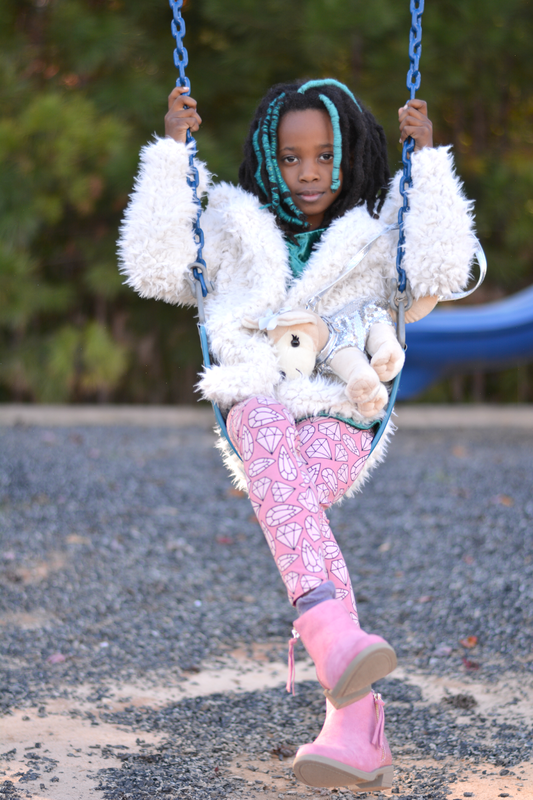 She's 7 now and has her own mind and her own fashion sense. If she had it her way she would dye her hair, get a bunch of tattoos, and a few piercings. Those are all things I have to veto. 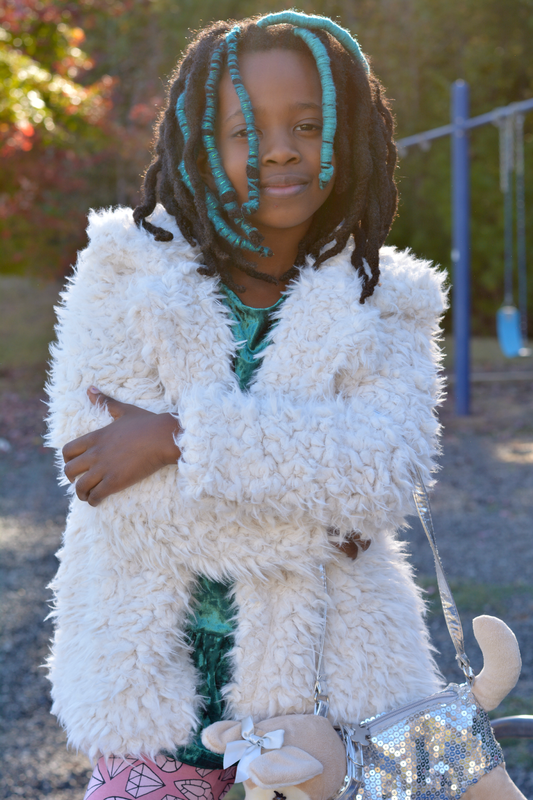 What I can do is add colored yarn to the locs and provide a supply of temporary tattoos. I can also let her pick her own clothes without interfering even when I don't agree with her fashion choices. After all, she didn't ask me. I'm glad we can find some common ground. 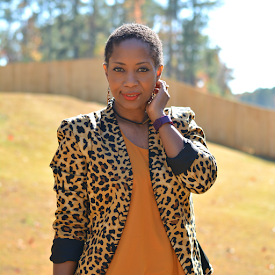 We have similar tastes when it comes to bold colors, prints, and textures. She chose today's outfit. From head to toe she did all of the styling right down to the boots. Fun fur, velvet, leggings, and sequins. All things I definitely have in my closet. She is her mama's child. 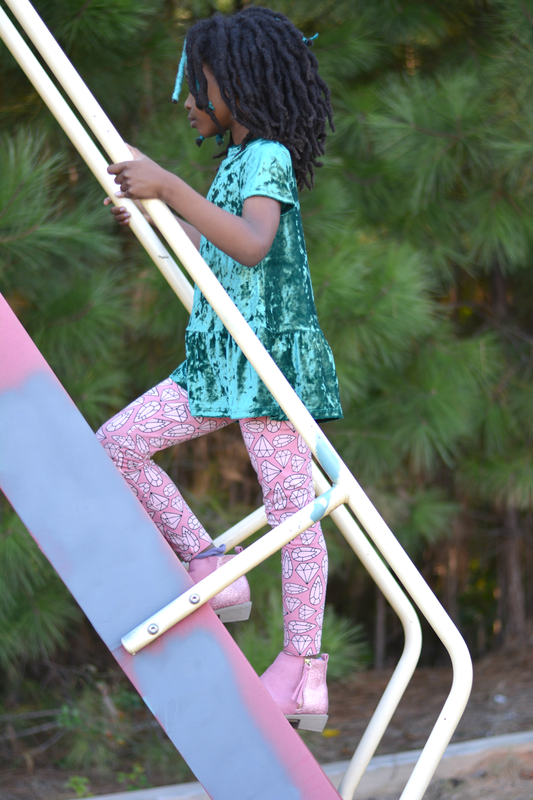 I love that FabKids clothing and shoes scales down current trends for the little ones while still keeping in mind that they are kids. The clothes aren't uncomfortable and don't restrict her movements. 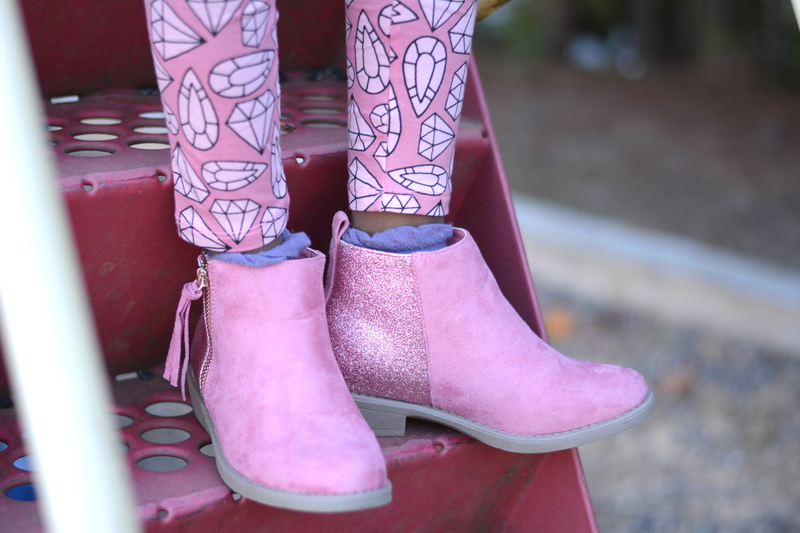 Her sparkly pink boots are easy to pull on and zip up. Those memes showing 'mom turning to skeleton waiting for kids to get dressed' are there for a reason. I can't believe how long it takes to put on shoes! She can slide her feet in these and we can be on our way in a matter of seconds. They are definitely a time saver. 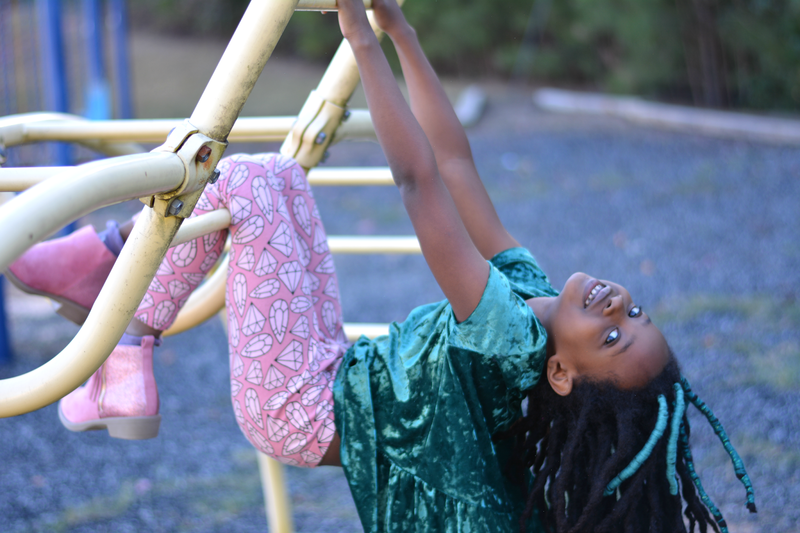 What I love most about FabKids is the high quality and a budget friendly price point. Boot pricing starts at $19.95. Those little feet are growing fast. There's no need to invest in expensive shoes that she won't be able to fit after a couple of seasons. 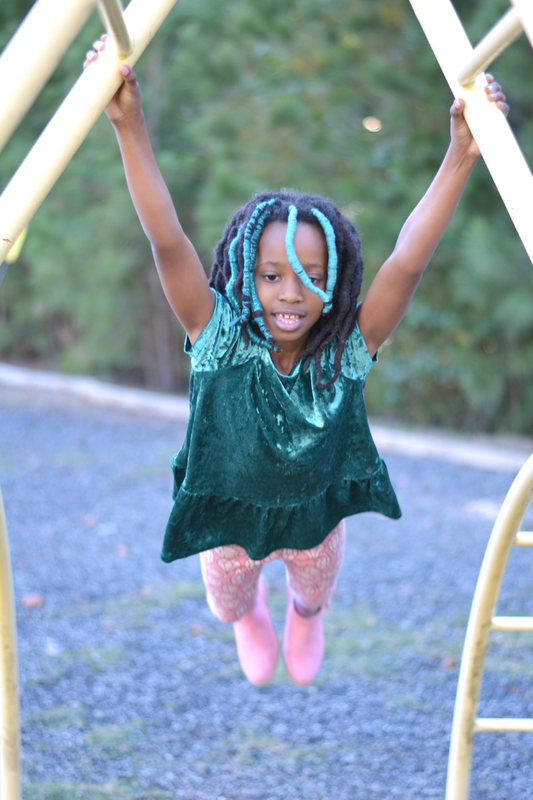 They're cute, sturdy and can handle a run through the playground turf. In just ten short years, this Violet will likely look a lot different. Quite possibly she'll have rainbow hair and lots of piercings. She's still be my girl and hopefully we'll still have sequins and velvet in common. 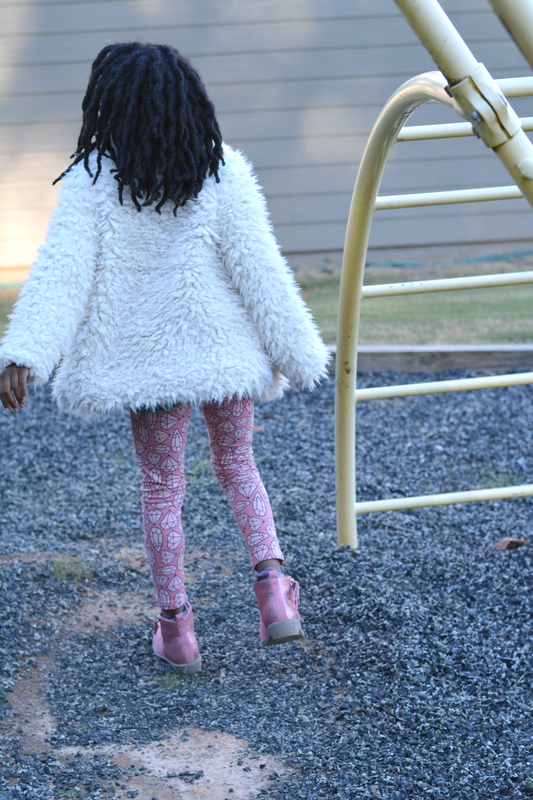 Click here to check out the entire FabKids collection AND get buy one, get one free + $10 off on all boots. Where do you shop for your kids? Have you tried FabKids?